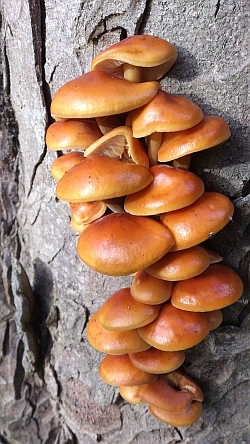 Autumn is one of my favourite times of the year for many reasons - golden leaves on the trees, wintering birds returning from Scandinavia and the number of fungi fruiting at this time. On the path I walk to meet my bird-watching group at Baron's Haugh in Motherwell I was able to spot the following types of fungi. The photographs were taken on a Sony Xperia S phone, which I find is good enough for many photographs when I cannot carry my SLR camera. 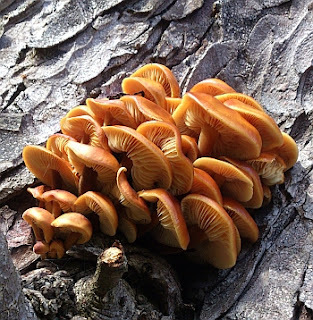 This yellow-brown fungi grows in tufts in decayed conifer wood. This is easy to identify as the skin peels off completely due to the elastic skin. 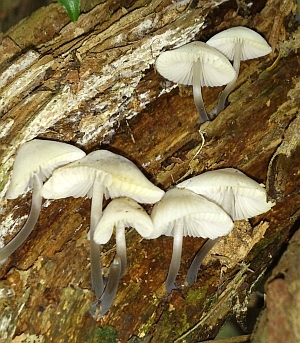 If is 7cm in size and shell-like and is found on the dead trunks of deciduous trees. 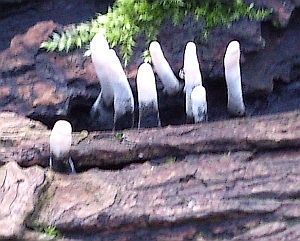 Candle-snuff Fungi is sometimes called the 'stags horn fungus'. It is quite a strong and rubbery and can be bent without breaking. It is black at the base, grey in the middle and white at the tips just like a snuffed candle wick. The Fairy Ink Cap is very small - between 0.5 to 1.5cm in diameter and 1 to 1.5cm tall. 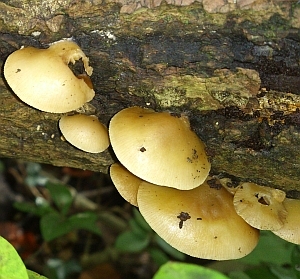 It is egg-shaped at first, then bell shaped and then flattens out. It is beige when young, then turns grey and then black. Unfortunately I never spotted the big red fungi with the spots!